This is another great article from Nick Levett - focussing on the 14-16 age group, but there's plenty of relevence to younger kids too. Across the country we have a challenge in youth football - when we get to U14 and upwards we start to see a decline in young people playing the game. This continues as a challenge in the transition from youth to adult teams and it all falls in line with a time young people experience some of their biggest changes. As well as growth and maturation developments being at their fastest for many young people, it coincides with exam pressures and a shift in their priorities too. As a young person eleven years old and below, their interest is in pleasing adults and as they get older, this shifts into impressing their peers before they start to connect to others and the world around them. When you listen to young people going through these teenage years it is fascinating to hear their insight into what they would like their experiences to be. This article will look at the demographic of young people in the 21st century; share some research from young people on why they are dropping out of the game and their views. You may not agree with these from your experiences, but these aren’t your experiences, these are the views of the people we spoke to and therefore cannot be written off or ignored. It is clear from this that the ‘team’ and social outcomes from young people in this research, 14 – 16 year olds, is one of the biggest things they love about the game. Fun is hugely important for their continued participation, as is the ability to practice their skills. Notice also some of the words that aren’t as important from the perspective of young people too. Interesting that competition is bigger than winning and this fits from my experiences of speaking to young people – they want a competitive match every week, not a 15-0, but don’t get hung up on the outcome of the game as long as some adults do. 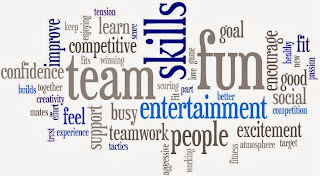 How do you foster and develop teamwork? 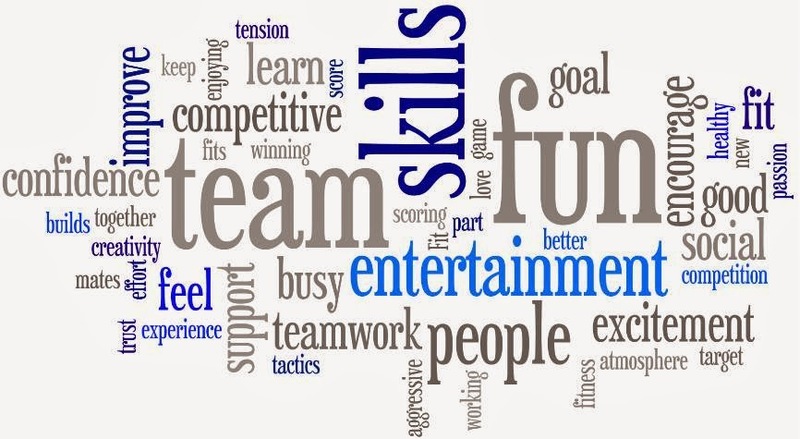 Do you recognise the importance of teamwork and therefore plan to develop this as much as you plan for technique and skill development? Having fun is a massive outcome for young people; do you create an environment that enables this to happen (on their terms, not yours)? Do you inadvertently focus on the smaller words rather than the bigger words because they might be your outcomes? A mixture of outcomes here which suggests young people enter the game with a variety of different intentions. It is evident they want to be with their mates, aligned with what they love about the game, but that they also want high standards. They want an organised competitive match, with a qualified referee on some decent facilities. Winning is important as they get older and this starts to become evident here and there is also still a hope of being scouted by a professional team. Does your approach align with their motivations and drivers? 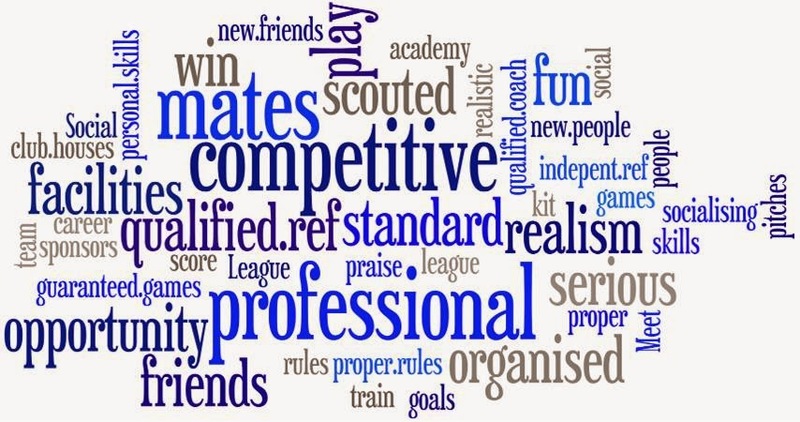 Have you asked the players what they want from football? Do you deliver the outcomes they are hoping for from their football experience? 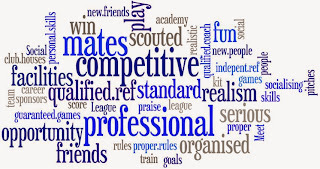 How do you ensure there is opportunity for all to play in a professional environment? Many of the reasons they stopped playing were extrinsic to their own thoughts; not getting any game time (decision made by adults), not getting picked (another made by adults), too competitive (influenced by adults), bullying (not managed by adults) and quality of training (led by adults). If we are going to ensure we keep young people in the game to transfer to become adult players these are things that we can manage better. There are factors on there we cannot influence as easily; girls, exams and school work, but there are many we can. Have a read of many of the small words on there, does it scare you that adults are acting that way and causing young people to stop playing? It certainly does for me! Things like; arguing, angry parents, drills etc. Equally, things can be combined, such as if the negative situation causes one player to leave, and that’s their friend, one player leaving often becomes two or three because the reason they are there is friends in the first place. What can you easily influence and change to make the situation better? How do you need to change personally? What are the controllable factors you can make better and invest energy into rather than the uncontrollable elements? These are all genuine quotes from players that have lapsed playing or felt like they were going to stop playing football. There are some really crucial messages we cannot afford to miss here. In summary, coaching young players in their teenage years can be a challenging time. We all know about the hormonal changes going on and sometimes they can be difficult but they are just finding their way in the world. They are ready for more responsibility and get frustrated when they don’t get this. Your challenge as a coach is to manage when you start doing this together, developing them as decision makers in different ways, and giving them a voice on things that truly matter to them.